A new-look 2019 Netier National Capital Rally held its official launch on Thursday, with the event’s new one-day format set to be popular with competitors and spectators alike. This year’s rally in May will be the second round on the CAMS Australian Rally Championship calendar and several ARC competitors were on hand at the launch to preview the ‘rush’ one-day format. Toyota Gazoo Racing’s Harry Bates said it was going to be an intense battle between competitors. “I’m a bit biased, it’s my home event and I always enjoy coming here, but I am really looking forward to the event getting underway this year in particular,” Bates said. Teammate and younger brother Lewis Bates said the shorter format would certainly ensure strong competition. “It will intensify the competition – instead of having two days to try and win the rally it’s all jammed into one day,” Lewis said. Subaru do Motorsport’s Molly Taylor said there would be plenty of anticipation about the shorter event. “I’m really excited to see all the excitement and buzz around this event,” Taylor said. Innate Motorsport’s Adrian Coppin confirmed he would enter the second round of the Championship and was looking forward to a strong performance in the shorter format. “It’s new for the ARC, it’s never been done before and I expect the competition to be really hot out of the box because you don’t have the luxury of a second day to try and recoup some points,” Coppin said. A ceremonial start will take place in Woden on Friday night, before a condensed event sees competitors battle the pristine Canberra rally roads. Corporate and government support for the Netier National Capital Rally also continues to build in the lead up. Netier Managing Director Gordon Hayes said the rally would be a very spectator friendly event. “Hopefully this new format makes things a little bit more accessible for competitors and spectators, who can bring families along and see a full day worth of action which is going to be really positive for the event,” Hayes said. Rien Donken General Manager of Abode Hotels, a new partner in 2019, said the event would be a significant tourism boost for the region. “We are super excited to be involved, one of the great things about it is that we are able to give the rally a new headquarters in Canberra where we can have competitors staying, ceremonial start and the service park all in one spot at our Abode Hotel in Woden,” Donkin said. 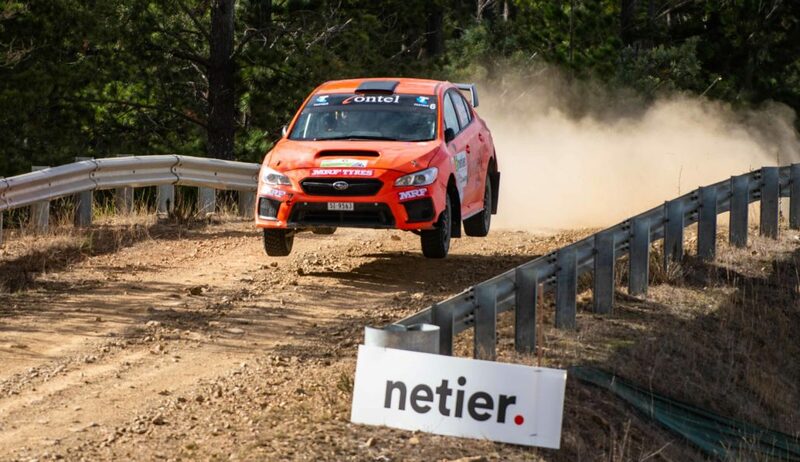 Australian Capital Territory Manager of Government Business Mick Gentleman, a former rally driver himself, said the event was a highlight on the Canberra calendar. “This event is very exciting for Canberra and it draws a lot of visitors to the ACT,” Gentleman said. The Netier National Capital Rally will be held on Saturday, 11 May, with a ceremonial start in Woden on Friday night.